Tran-Minh Thai is a Director at Accuracy. Tran-Minh has a professional experience of over 13 years in the financial advisory sector. He started his career in the Audit and Transactions Services Department at EY, where he was involved in external audits and due diligences for large multinational companies and private equity funds. From 2008 to 2016, he developed the Forensics & Restructuring activities at BDO Spain with a relevant emphasis on leading corporate restructuring processes. In 2016, Tran-Minh joined Accuracy specialising in situations of transaction advisory services (financial due diligence for mergers and acquisitions) and litigation support (damages assessment, forensic accounting). Tran-Minh is also a lecturer in Corporate Finance and Management Control and Governance at Toulouse Business School. Tran-Minh speaks French, English, Spanish, Catalan and Vietnamese. Tran-Minh has conducted numerous financial due diligences (buy-side and sell-side), mostly advising cross-border deals with a focus on FMCG, metals and TMT sectors as well as corporate restructuring through the preparation of Independent Business Reviews (IBRs), review of business and viability plans, challenge on cash-flow forecasting, negotiations of debt structure and debt refinancing with financial institutions. 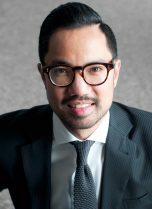 Additionally, Tran-Minh has expertise in claim and dispute situations through assessment of damages, assistance in arbitrations and lawsuits, investigation and quantification of financial frauds and preparation of expert witness reports. Carve-out and vendor due diligence of an IT unit of a German listed company. Buy-side due diligence of a French Tech company for a relevant French investment company. Buy-side due diligences of several Spanish companies holding relevant technologies and patents for the global leader in water and waste sectors. Buy-side due diligence of a Spanish conglomerate of nursing homes for a French listed real estate company. Buy-side due diligence of a Portuguese TMT company for a French leading information technology services company. Acquisitions of companies in Africa for the Spanish leader group in FMCG industry. Buy-side due diligence of a Spanish vineyard by the French leader in luxury brands. Buy-side due diligence of a relevant Spanish player in the canning industry by a Shanghai-based listed company. Financial restructuring and debt advisory in the context of a c.€400 million syndicated loan renegotiation for the Spanish leading TMT group. Independent Expert Report for the c.€2.7 billion loan refinancing for the leading Spanish global steel producer. Expert report assessing the economic and organisational causes in the context of a redundancy program for the Spanish energy industry leader. Expert report in a dispute Court case estimating losses from an erroneous warning transmitted to the market by the Spanish healthcare regulator for the Spanish leading producer of infant milk.